The United Arab Emirate’s visionary leadership has been agile in adopting & embracing innovation culture in the country by framing progressive strategies and policies that accelerate development while creating promising grounds for innovation and progress. Creative thinking and innovative projects in various sectors making UAE the centre of excellence. Furthermore, these goals & visions of the Emirate finely align with the UAE’s National Innovation Strategy with a plan for new legislation, incentives, investment, and global research partnerships to ultimately ease the process of doing business in UAE. Taking charge of the growth and development in their respective regions, every Emirate has taken steps in fostering innovation, nurturing growth and accelerating development by implementing effective strategies, deploying world-class infrastructure and supporting new avenues of growth. With the aim is to establish a national culture that encourages innovation and entrepreneurship through partnerships between the public, private and media sectors. A flexible and creative economy where all the industries work together to discover new ways to deliver services and conduct business in a revolutionary way is the fastest and most sustainable way to reinforce the UAE's competitiveness on a global level. The UAE Government reinforced its commitment to innovation accelerating the country's journey to global leadership in its field. In October 2014, Sheikh Mohammed bin Rashid Al Maktoum introduced a UAE National Innovation Strategy, designed to position the UAE among the most innovative countries in the world. It is a primary tool to achieve Vision 2021 and an engine for the growth of distinctive skills and capabilities across the nation. The strategy will stimulate innovation in seven sectors where innovation is key to excellence are renewable energy, transport, education, health, technology, water and space. The Emirates Blockchain Strategy 2021 aims to capitalise on the blockchain technology to transform 50 per cent of government transactions into the blockchain platform by 2021. The blockchain technology will help save time, effort and resources and facilitate people to process their transactions at the time and place that suit their lifestyle and work. By adopting this technology, the UAE government expects to save AED 11 billion in transactions and documents processed routinely, 398 million printed documents annually and 77 million work hours annually. Sustainable Development Goals (SDGs) also known as Global Goals are a set of 17 goals that aim to provide better living conditions to all. The SDGs are based on the United Nations’ Millennium Development Goals. The SDGs are part of 2030 Agenda for Sustainable Development. The UAE is taking several steps to achieve the SDGs at home and abroad. The UAE Sustainable Development goals perfectly synchronise with the UAE vision 2030 which envisions the long-term sustainable economic growth in the nation, while actively contributes to the UN Sustainable development goals. Accelerating change and stimulating innovation in the field finance, UAE has created a thriving international FinTech industry under the visionary leadership of His Highness Sheikh Mohammed bin Rashid Al Maktoum with a mission to drive the future of finance. 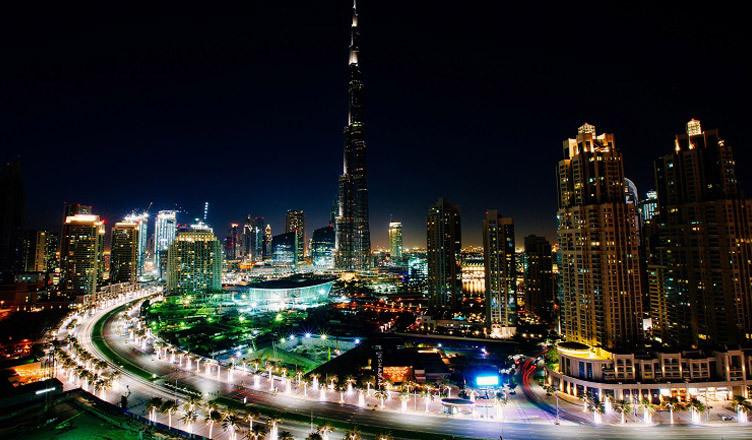 In 2004, the United Arab Emirates opened the doors of Dubai International Financial Centre an exclusive financial special economic zone in Dubai for the development of high tech financial systems and products using the latest technology while offering one of the region’s most comprehensive FinTech and venture capital environments, cost-effective licensing solutions, business-friendly regulation, and funding for FinTech start-ups. With the accelerated pace of innovation in the FinTech sector, DIFC has emerged as a global leader in leading the transformation of the financial industry into a more agile, robust and digitally accessible service. The consistent governmental support, effective management and innovation in the DIFC FinTech Hive which specialises in accelerating FinTech startups has been drawing increasing international interest for investments and expansion in the booming FinTech sector. The latest developments in the FinTech sector such as open banking, the blockchain, machine learning and Artificial intelligence are changing the way the businesses operate incorporating a more open and diverse style of banking. In the plan to make UAE a strategic hub for international trade and business, the Emirates are keen on implementing cutting-edge transportation systems that enhance the UAE’s stand in the global level while offering excellent connectivity to the citizens and residents of the country. In the race to bring futuristic transportation facilities to the state, the United Arab Emirates has invested in constructing cutting-edge Hyperloop One Dubai a transportation system that is faster than air travel in the Emirate of Dubai & Abu Dhabi. Furthermore, the government has initiated tender and constructed research facilitates for the deployment of a high-speed Hyperloop transportation system which is the first in the world when opened. In addition to the Hyperloop, UAE has invested in developing futuristic autonomous transportation solutions for smart cities through the Dubai Autonomous Transportation Strategy under the Directions of His Highness Sheikh Mohammed bin Rashid Al Maktoum, Vice President and Prime Minister of the UAE and Ruler of Dubai, with the Dubai Future Foundation in conjunction with Dubai’s Roads and Transport Authority. The transformation of the Emirati transportation completely autonomous within 2030 is foreseen to have 5 million daily trips, saving AED 22 billion in annual economic costs and positioning the Government of Dubai as a leading global example through announcing an integrated strategy with clear enablers and targets within a specific timeframe. The strategy supports setting up legislation for the development of autonomous transportation, in the first initiative of its kind in the world and encourage the establishment of infrastructure for the new technologies based on the best future standards. The Abu Dhabi Sustainable Week 2019 is a global platform that was created as the manifestation of forward-thinking approach, and pioneering spirit of the United Arab Emirates with the goal of delivering avant-garde solutions addressing the global energy security, poverty eradication, water scarcity, climate change, and sustainable developments goals. ADSW 2019 is the largest sustainability gathering in the Middle East that brings together world leaders, policymakers, thought leaders, decision makers, experts, scientists, business leaders and academics together to discuss, debate, and ultimately address the energy and sustainability challenges of the future. ADSW 2019 in response to the changing global landscape, is following a holistic approach to sustainability goals where it closely aligns itself with the UAE Vision 2021 and the United Nations Sustainable Development Goals (SDGs). The pillars of ADSW now address Energy and Climate Change, Water, Future Mobility, Space, Biotechnology, Tech for Good. Moreover, the country has been implementing plans to turn UAE into a global hub for alternative energy with world-class clean energy projects and initiatives for businesses. These strategies initiated along with comprehensive efforts, forward-looking vision, advanced infrastructure, visionary leadership and noteworthy policies of the government of UAE. We can be definite that the long-term strategy of the government will undeniably serve the goal of being one of the best countries in the world with state-of-the-art facilities and excellent business prospects. If you are interested in starting your business in UAE feel free to contact us, we’d be glad to help you with all the information you need.